Low detectable PSA after prostatectomy – watch or treat? In a previous article, we looked at evidence that a low detectable level of PSA predicts eventual biochemical recurrence (a confirmed PSA greater than 0.2 ng/ml) when there is aggressive pathology. But what is one to do when the pathology report is not necessarily poor (that is, the cancer may be fully contained within the prostate, and all surgical margins may be negative), yet the PSA is detectable and possibly rising? The NCCN definition may lead to over-treatment of patients in whom the small amounts of PSA may be attributable to benign tissue left behind, extraprostatic sources, or indolent cancer that may never progress in the patient’s lifetime. On the other hand, waiting for the American Urological Association (AUA) definition of a confirmed PSA greater than 0.2 ng/ml may allow the cancer time to progress beyond the local area. The primary endpoints they looked for were either biochemical recurrence (a confirmed PSA ≥ 0.2 ng/ml) or salvage radiation therapy beyond 3 years of follow up. They could not draw any meaningful conclusions about survival because of the relatively short follow up. The post-surgical pathological findings of the “undetectable PSA” and the “low detectable, stable PSA” groups were nearly identical, while there were significant differences compared to the “low detectable, unstable PSA” group. Intermediate- and high-risk patients were more often found in the “low detectable, unstable PSA” group compared to the other groups. The presence of a “low detectable, unstable PSA” was a significant predictor of biochemical recurrence, along with pathological stage, Gleason score, and positive surgical margins. It would be useful to know if those patients progressed to biochemical recurrence even if they did not have aggressive pathological characteristics; however, with only 54 patients, it would be impossible to draw reliable conclusions. If these findings are confirmed in randomized clinical trials, post-prostatectomy patients with “undetectable PSA”, or “low detectable and stable PSA”, could be safely watched. There is an open controversy as to whether salvage radiation therapy, even if given after biochemical recurrence (a confirmed PSA ≥ 0.2 ng/ml), translates to a survival benefit. Fewer than a third of patients with a post-prostatectomy biochemical recurrence experienced systemic progression, and it takes a median of 8 years for distant metastatic progression, and 13 years for mortality to occur, according to a Johns Hopkins study (by Pound et al.). This study may help inform patient and doctor discussion and choices. 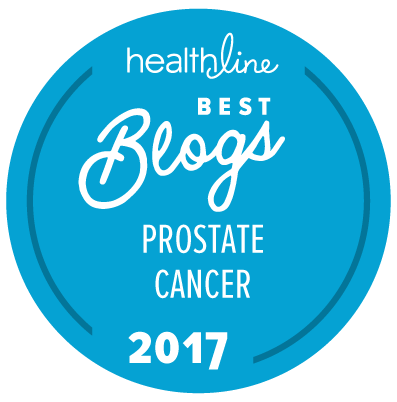 Editorial note: This commentary was written for The “”New” Prostate Cancer InfoLink by Allen Edel. We thank Dr. James Mohler for providing access to the full text of the study by Koulikov et al. I am one who has chosen to wait and see, I have had three PSA tests since my RP on 1/10/14 and a fourth due this month. I have been undetectable so far, even though I had one positive margin. I had two opinions from some great doctors and both said it was a 50-50 decision to go ahead with radiation. That was not enough for me to go ahead; they both have supported my decision to monitor closely. My previous article showed that among men with a positive margin or stage pT3 none of them went on to biochemical recurrence as long as their ultrasensitive PSA remained undetectable or < 0.03 ng/ml. That should give you and your doctors a lot more confidence in your decision to watch. I’ve been > 0.04 to > 0.05 for 8 years now. My first PSA was > 0.04 ng/ml. According to the article I should have had adjuvant radiation 8 years ago if I am reading this correctly? The distinctions between a “low, stable, and undetectable” PSA level and a “low, unstable, and undetectable” PSA level can be very subtle. These subtleties can profoundly impact the appropriate management of individual patients. In my entirely personal opinion, you appear to have a low, stable, and undetectable PSA level that has never required any form of adjuvant or salvage therapy. The findings in the study discussed above are findings from one study. They suggest implications, but they don’t tell us how to treat individual patients in any absolute sense. Excellent review of an intriguing paper. Any study helping to counter the “aRT for everyone” trend is welcome. I might point out that at least one of the findings is unsurprising. If PSA starts very low and does not rise significantly, the patient will never reach BCR, or major symptoms of prostate cancer. He should not need advice or guidelines to decide to spare himself further treatment. If PSA is rising, the decision turns into a game of high-stakes chicken. The statement “… waiting for the American Urological Association (AUA) definition of a confirmed PSA greater than 0.2 ng/ml may allow the cancer time to progress beyond the local area” is equally true for other values of PSA and does not enlighten the decision. As you noted, the timing and efficacy of sRT is controversial. Studies have used varying cutoff levels for “early” sRT from 0.03 to 1.0 ng/ml, making them difficult to compare. One might ask whether it is useful to worry about having an early warning of BCR, when there is no proof that early sRT is better than later sRT, or whether sRT at any level translates to a survival advantage, or even whether BCR is a surrogate for later undesirable events. Once again we must await further studies. My husband had a prostatectomy on May 12, 2014: margins negative, Gleason 7, past 5 months and five PSAs ranged between 4s and 5s. On October 10, 2014, he got a 6-month Lupron injection. Now, as of January 8, 2015, his PSA is 0.02 ng/ml. His cancer was all microscopic and was also in one seminal vesicle. Should he do the radiation? Our doctor says if the Lupron is working then no. But we hear that radiation would be the only cure, but they will radiate blindly because they can’t see it anywhere on any scans. Please help. I’m not sure you are reading it correctly. The study found that progression occurred only when the PSA was rising or “unstable.” Yours appears to be quite stable, which would put you in the second category. Almost all patients in that category (94%) enjoyed progression-free survival out to 7 years of tracking. Your husband needs to consider asking about having some form of imaging scan that may be able to actually tell whether his cancer is in an area that can be radiated or not. You don’t tell us what his PSA was prior to surgery and you also don’t say whether he had any positive surgical lymph nodes (or whether the lymph nodes were sampled but were all negative). I also am not clear what you mean when you say that his cancer was all “microscopic” — microscopic where? The types of imaging test that might be able to help your husband understand where his cancer remains are things like the choline-C11 PET/CT scan done at the Mayo Clinic in Rochester, MN, and some types of sophisticated MRI scan available at major specialty medical centers. I’m not clear from your post exactly what you’re saying about his PSA after surgery. Are you saying his PSA was between 4 and 5 on his post-surgery PSA tests? That would explain why his doctor gave him a Lupron shot, which brought his PSA down. When you say “it was micrometastatic,” I think you mean that no metastases were visible on a bone scan? His pathological seminal vesicle invasion is a serious adverse finding. Both the high PSA post-surgery and the seminal vesicle invasion increase the risk that the cancer is systemic and can’t be cured with radiation to the prostate bed. Nevertheless, you may decide that you want to try it anyway. That’s a conversation you should be having with a radiation oncologist. There aren’t any known forms of imaging that are likely to be able to find metastases while his PSA is that low from the Lupron. Once again, terrific write-up, Allen. I think the InfoLink has made a practical decision to include your insight. Your ability to break down the data is amazing to me! I’m endorsing Tony’s observation, Allen … very helpful to me and to men I am mentoring … Tx! I had always thought around 30% of men experienced BCR (recurrence) post-RP although the Johns Hopkins study suggests around 15%. What’s your understanding? I believe that Peter Carroll’s lower PSA threshold is a PSA of 0.075 rather than 0.03, although he may have lowered that since I last spoke to him. Thanks. That’s very kind of you to say, Rick. I think it depends on the time frame. Johns Hopkins is telling us the BCR is 15% at 5 years, but elsewhere they report progression-free survival is 68% (32% recurrence) at 25 years. Also, we expect Johns Hopkins to do better RPs (they have a low positive surgical margin rate) and to do a better job at choosing appropriate patients compared to the average institution. So the 30% figure that you and I have seen is probably a population-wide figure with no specific time cut-off. Have had the surgery in 2013 and then had to have radiation in July of 2015. PSA has been good. Four months ago was 0.03 and today 0.05 is there any need to be concerned at this time? That’s a question you need to ask your doctors, but they would probably tell you that it rather depends on what your next PSA level is. It might stay the same. It might go down again. Or it might continue to rise. The last would suggest a possible need to think about what comes next.